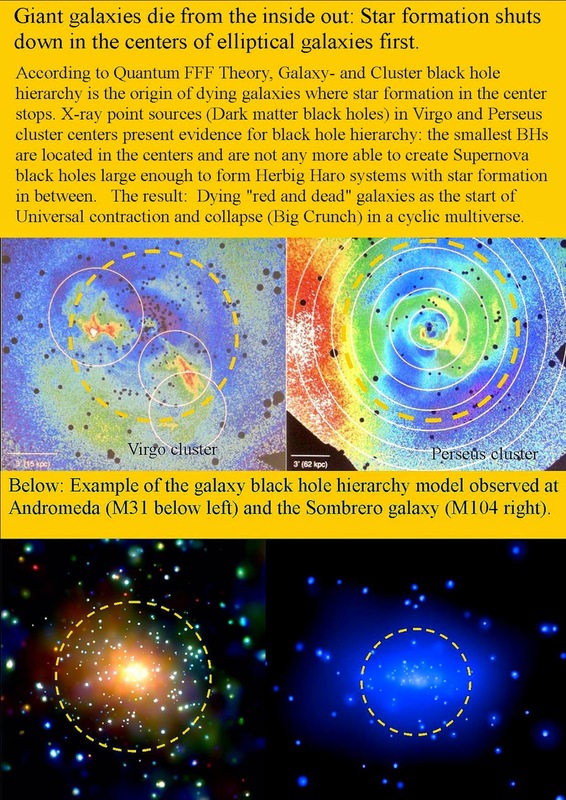 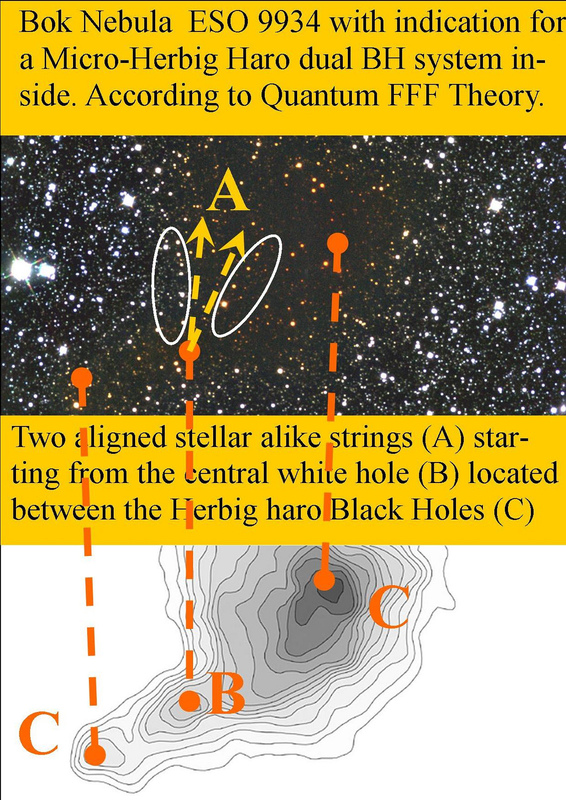 The origin of galaxy alignment in the early universe. 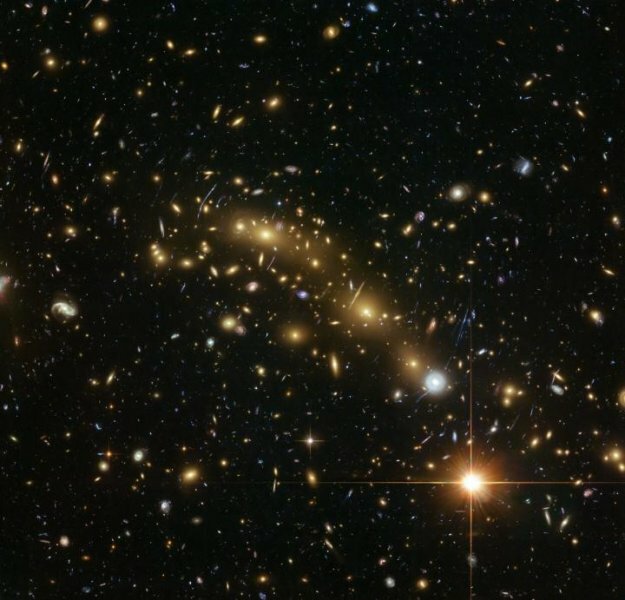 "A new study based on observations with the Hubble Space Telescope has shown that the most massive galaxies in the universe, which are found in clusters like this, have been aligned with the distribution of neighboring galaxies for at least 10 billion years." 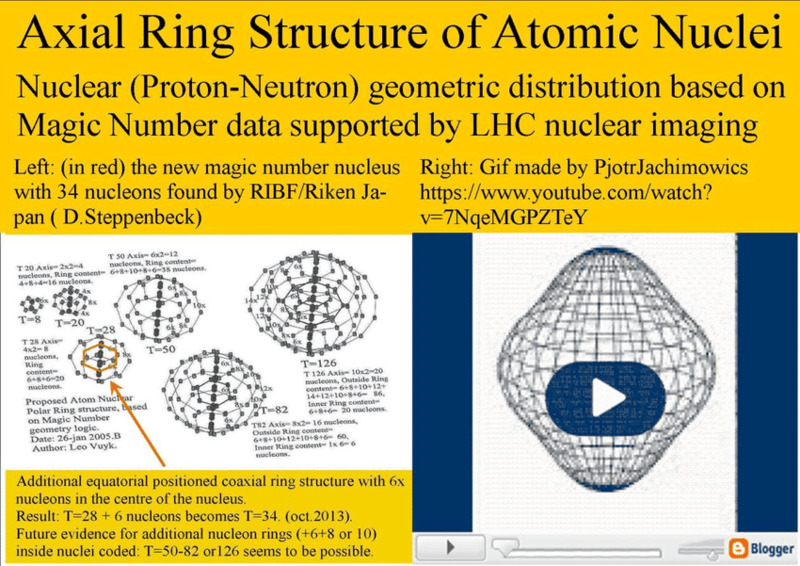 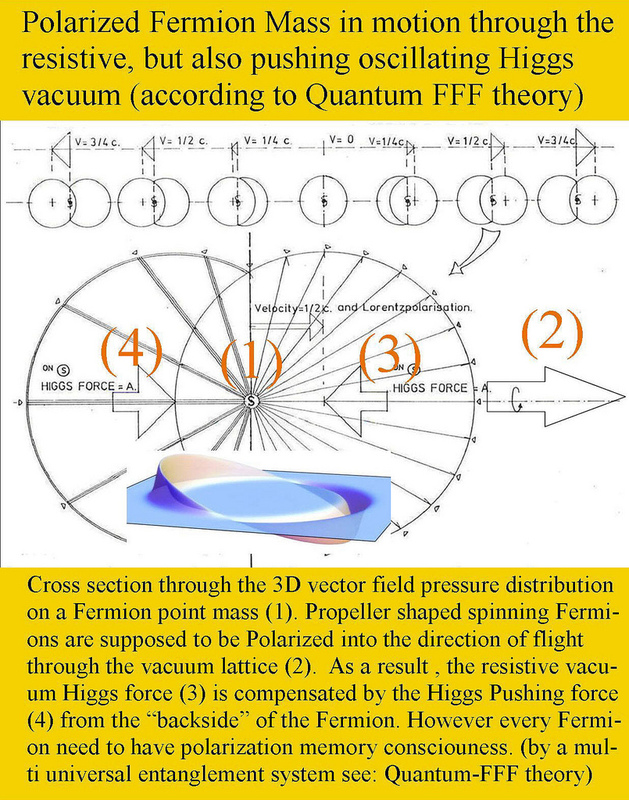 According to Quantum FFF Theory, stable Polarized propeller shaped Fermions (Nuclear Quarks) are supposed to be the origin of stable non accelerated motion through the resistive oscillating vacuum (Axion) Higgs field. Recent observations in the LHC do support the idea of Fermion polarization into a constant specific space based direction, which could support the idea of a constant battle between a resistive vacuum and polarized spinning propeller shaped Fermions pushed forward by the same vacuum at the same time to compensate the resistance. 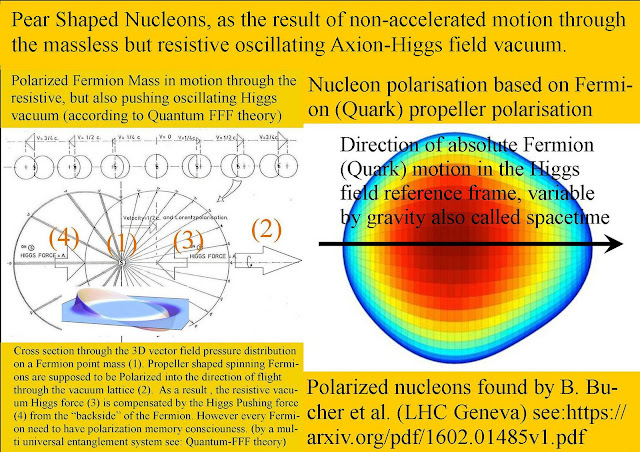 The recently observed Axial symmetric pear shaped atom Barium nuclei ( LHC) are an extra support for the atomic interaction with a new massless oscillating Axion-Higgs vacuum reference frame postulated by Quantum FFF Theory. 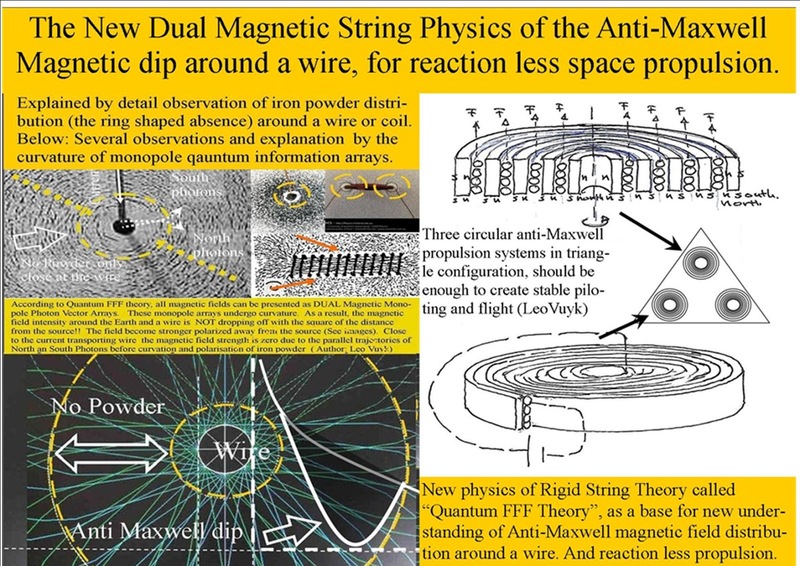 Magnetic Monopole Test to Demonstrate the Existence of a Anti Maxwell Dead Zone around a current in a wire..
North- and a South vector field component. 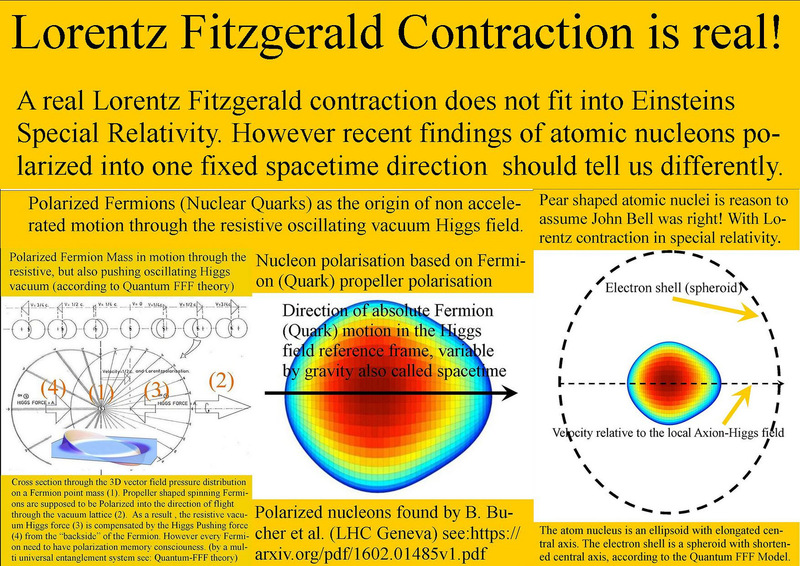 This is comparable with the electric Quantum field, equipped with Plus and Minus vector components but it is in contrast with all other quantum fields like the neutrino- gravity-or x-gamma ray field. 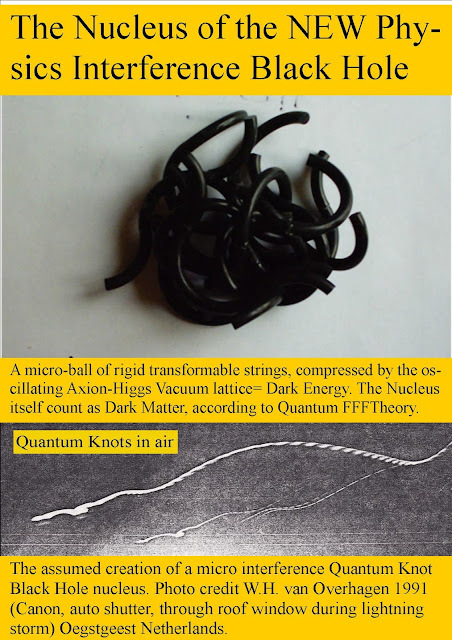 mutated oscillating Higgs field particles from the vacuum. 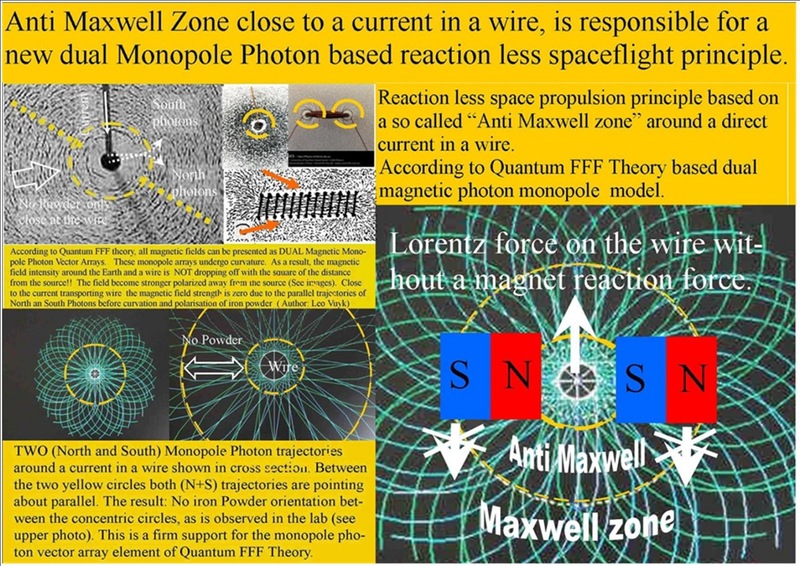 These photons should do the magnetic job by interlocking temporarily with the Fermion, and give the Fermion a push to the left respectively a push to the right fully in line and according to the Lorentz force law. 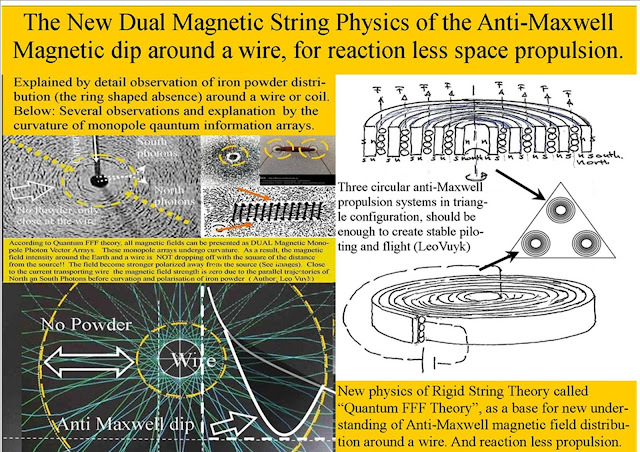 parallel to each other without a magnetic field effect inside the Higgs field. zero reduced Lorentz force on the iron filing atoms. Levitation in combination with different forms of strong tubular or spiral magnets. plating with spiraling electric coils in between. 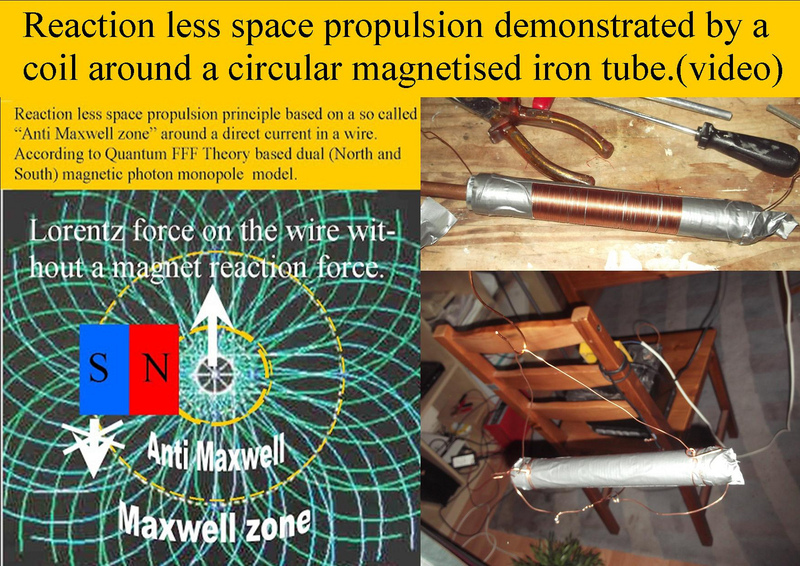 on the magnet due to the local magnetic dropping zone. 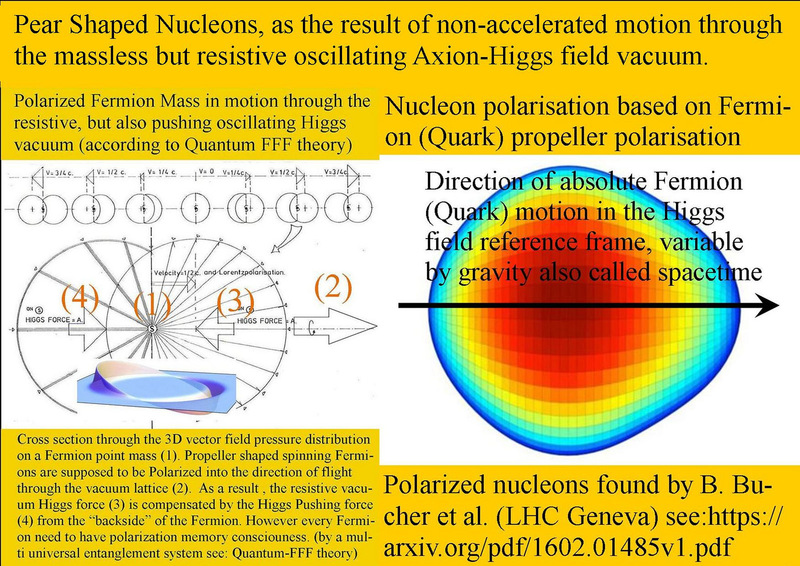 already shown this new physics reaction less propulsion effect. Proplyds are not young planets, but young black holes accelerated by plasma tails. 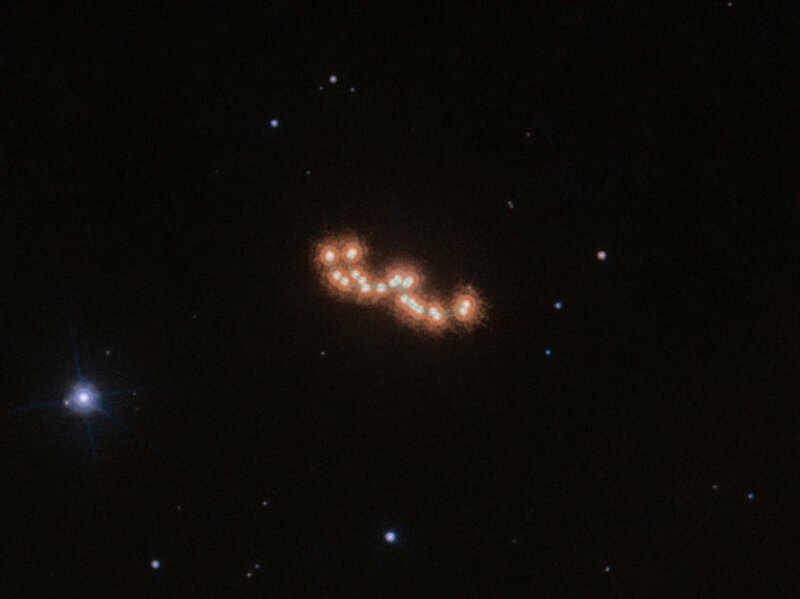 Proplyds should be young molecular ( ejected star spot) black holes accelerated by plasma tails. 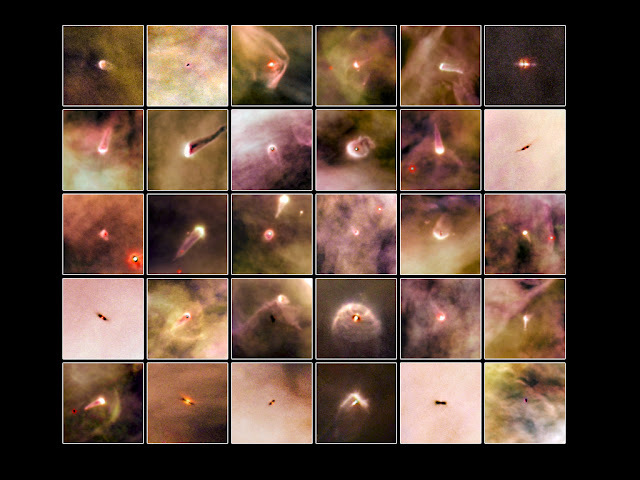 Proto planetary discs, show mostly a tail and seem to be in motion in opposite direction of that tail. 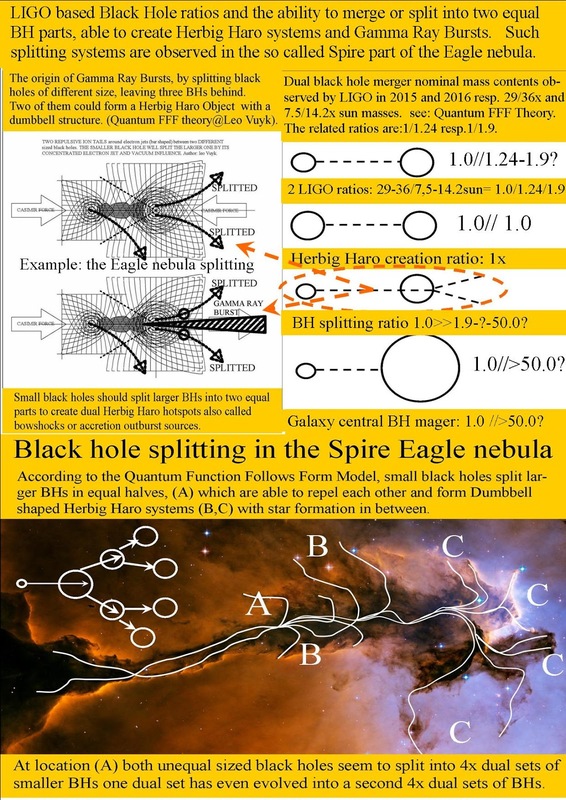 .In addition, The Spire / Eagle nebula is a good example of splitting and merging young starspot black holes merging into small ( micro) Herbig Haro systems producing often red dwarfs or even failed stars. 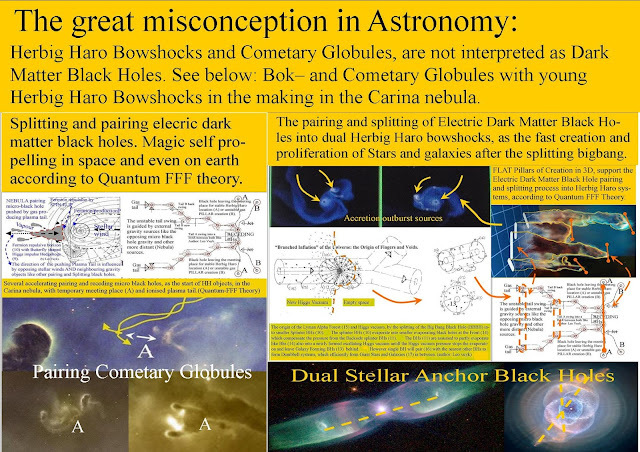 as the next Bok globule image shows. 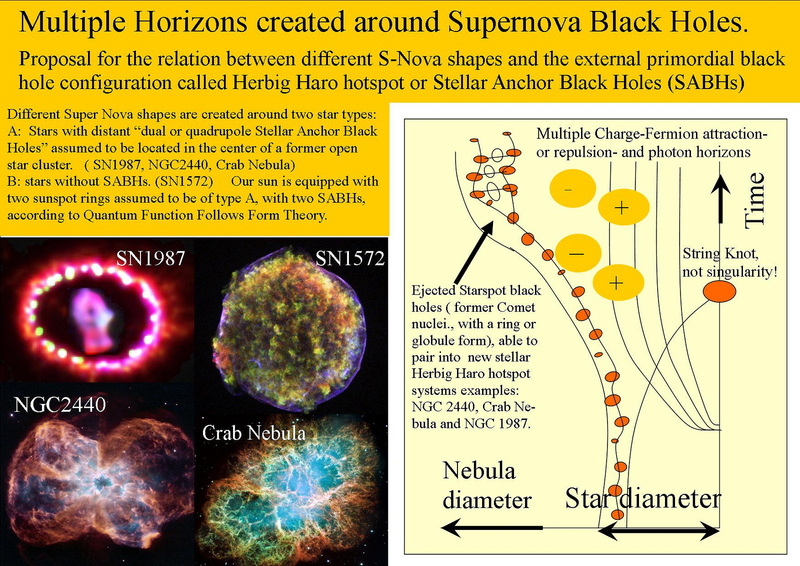 The origin of micro molecular black holes as exploded ( ejected) star spot black holes. 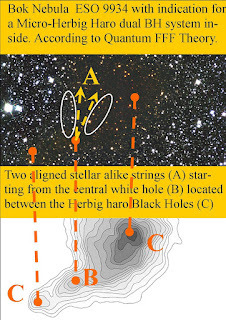 Star spots however are assumed to be the result of crashed Comets in the former star. Clockwork Composite Higgs Models based on internal 3x rotation of the Higgs torus as rigid strings. 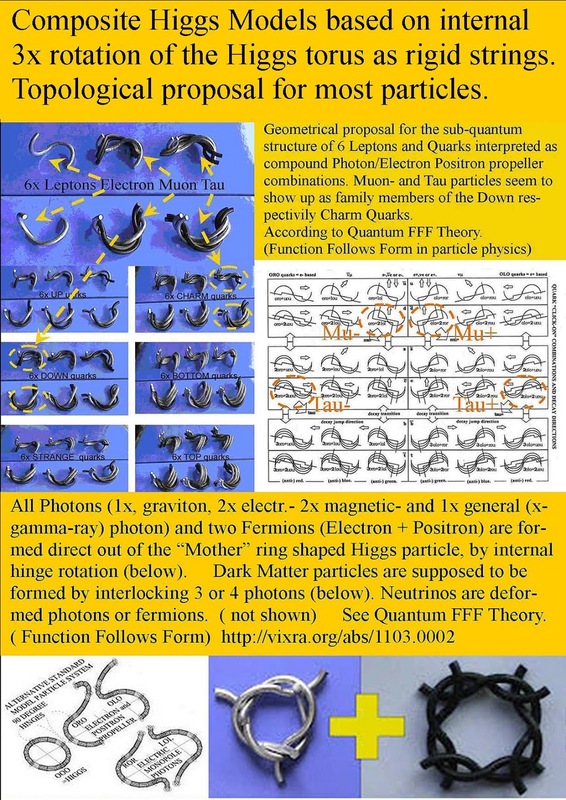 Topological proposal for most particles. 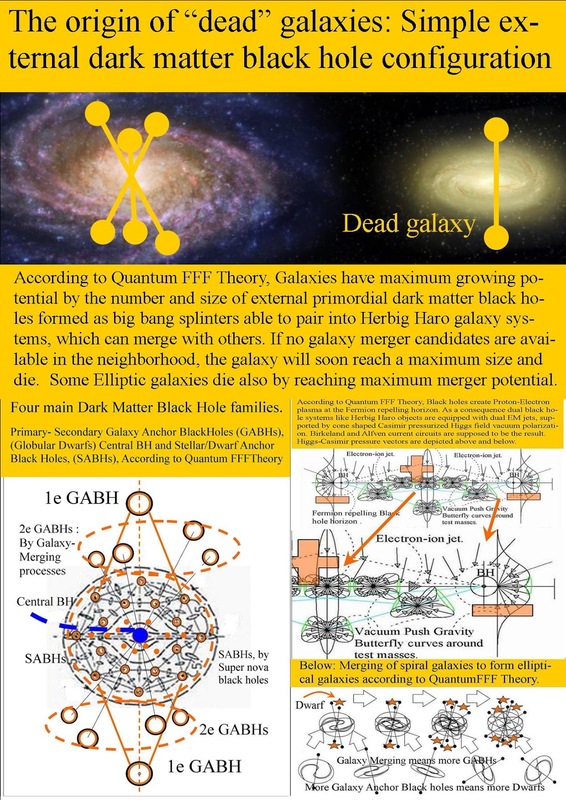 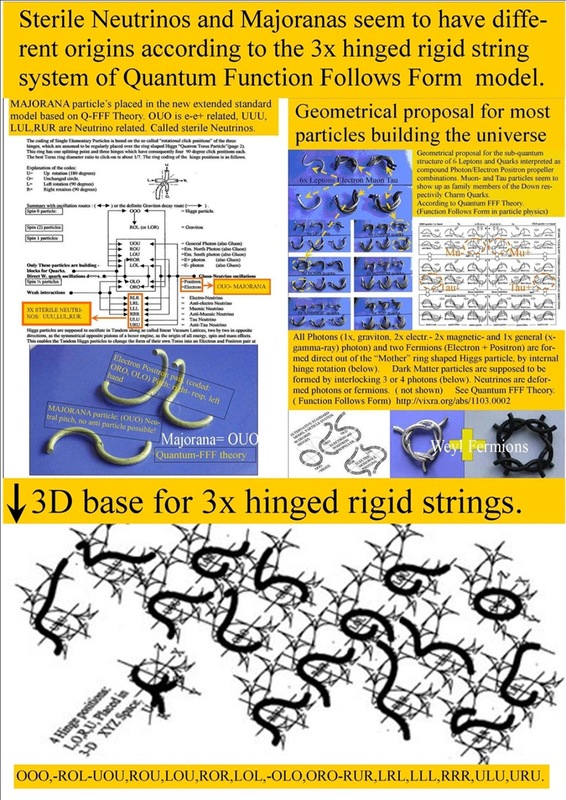 Unstable dark matter particles made up by deformed massless Axion/ Higgs vacuum strings (coded OOO) assumed to be the origin of dark energy and emerging gravity. 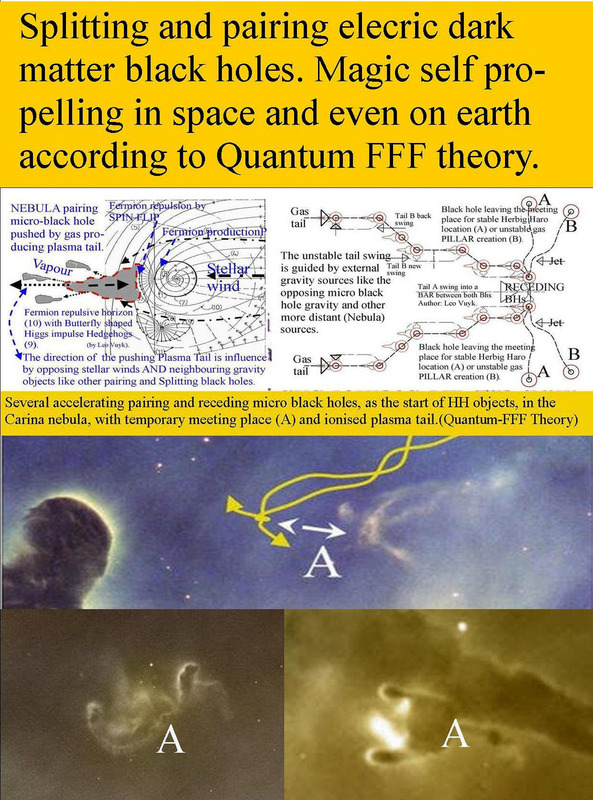 According to Quantum FFF theory. 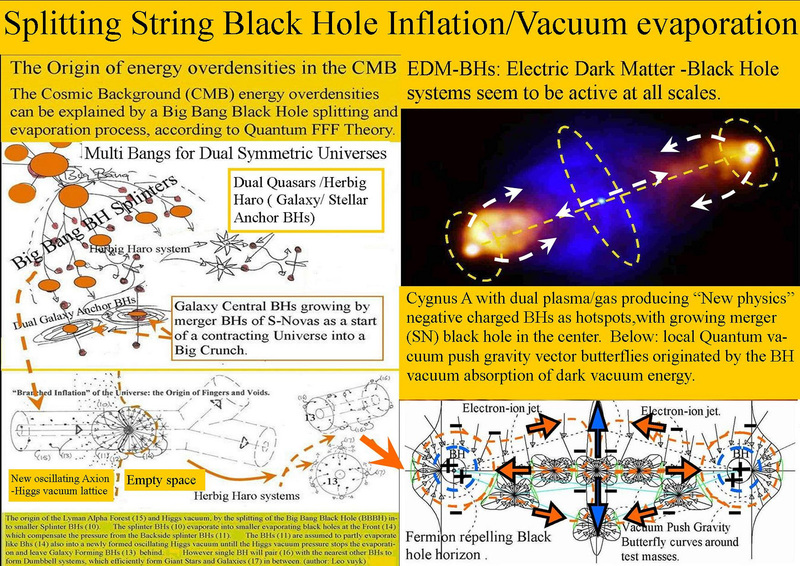 So: The LHC ( 125 GeV) Higgs is an unstable dark matter black hole particle. 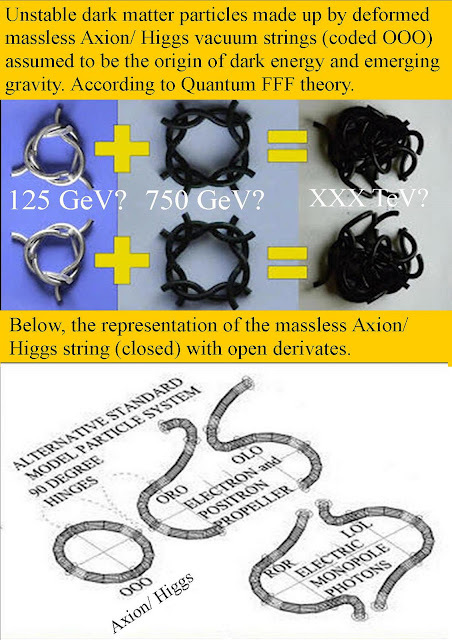 The Axion/Higgs field vacuum particle ( the virgin mother torus) however is supposed to be massless. 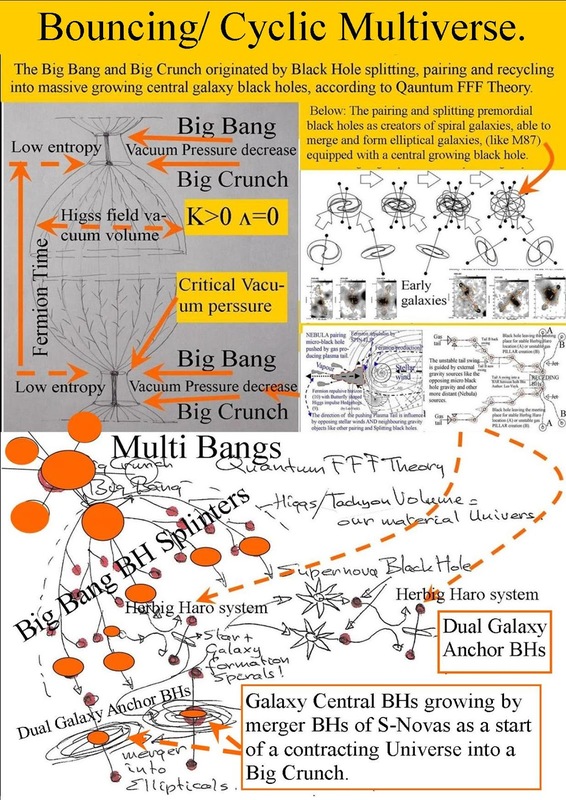 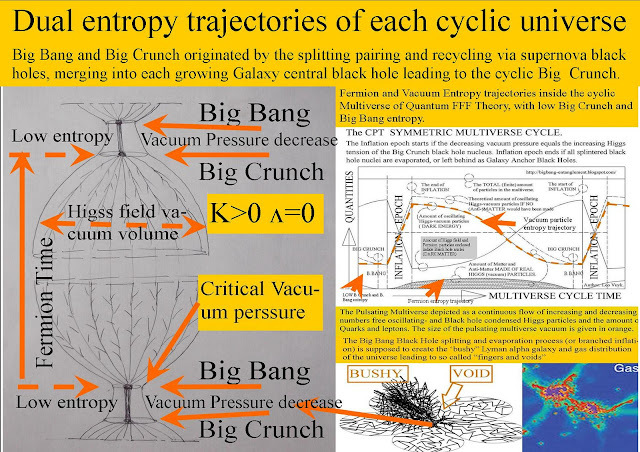 A non smooth big bang should be a symmetric string based black hole nucleus explosion, into ever more exponentially smaller BHs and a tetrahedron based vacuum with variable Planck length edges. 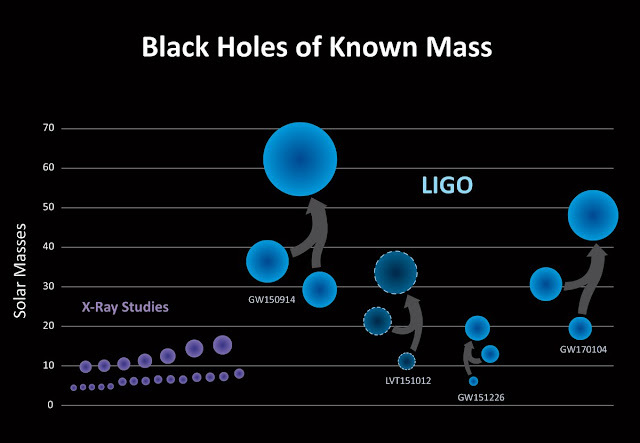 The recent 2017 Black hole merger (LIGO GW 170104) seems to Fill the gap. Could LIGO project also be the start to explain Gamma Ray Bursts of small black holes? 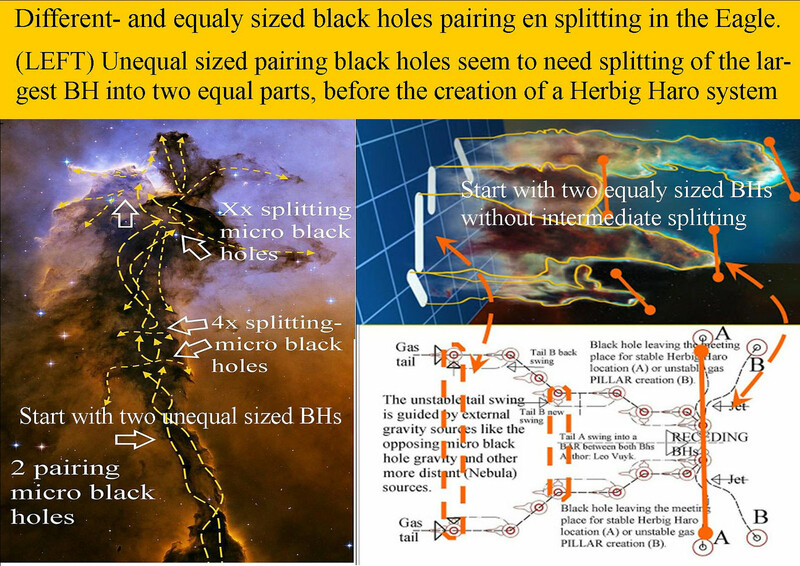 The recent 2017 Black hole merger (GW 170104) seems to Fill the gap between the two former merger black holes, which raise the question what BH mass upper- and lower boundaries and BH ratios we could expect? Could it even explain the Gamma Ray Burst (GRB) conundrum about the narrow energy focusing of the explosion energy by assuming that we have to do with a splitting BH in two equal halves by a much smaller one crashing into it? 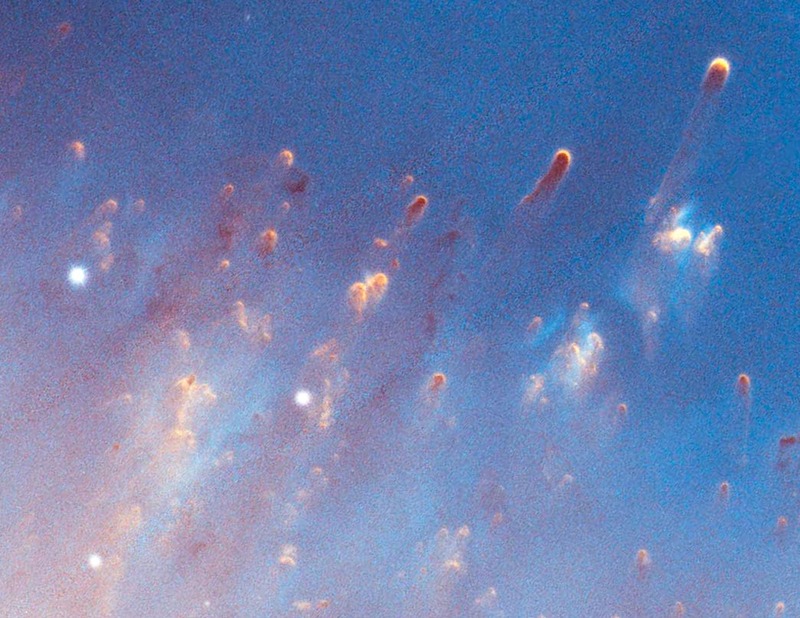 Several nebula ( like the Eagle -Spire) seem to show such splitting processes. Consequently, it would be interesting to investigate the directional focusing of Gamma Ray Bursts (GRBs) could be originated by the merging and even splitting of smaller lower bound BHs as suggested to take place in nebula like the Eagle (Spire) nebula. 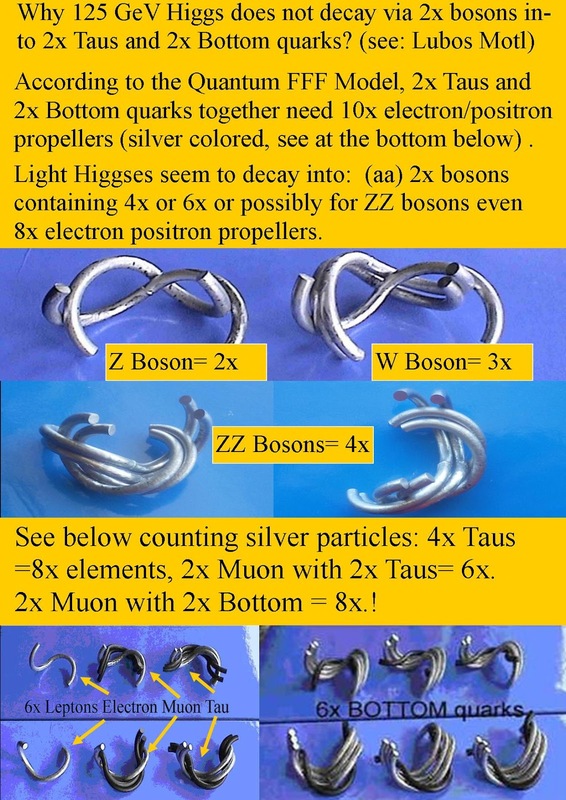 I would propose that there could be three different merger and splitting systems of BHs depending on the size and ratios of both BHs. 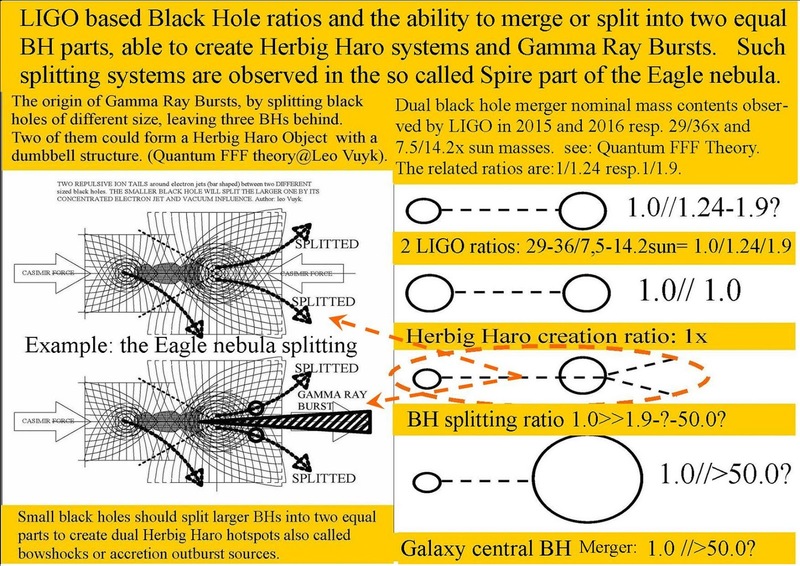 1: Normal merger BHs as found by LIGO. Which seem so have rations between: 1/1.24 and 1/1.9 with masses of the participating BHs and resulting BHs between: 6 and 60 solar masses. 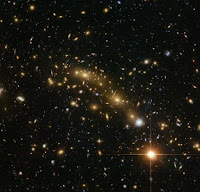 3: Central Galaxy BHs gobbling up much smaller BHs and growing in size with small steps.